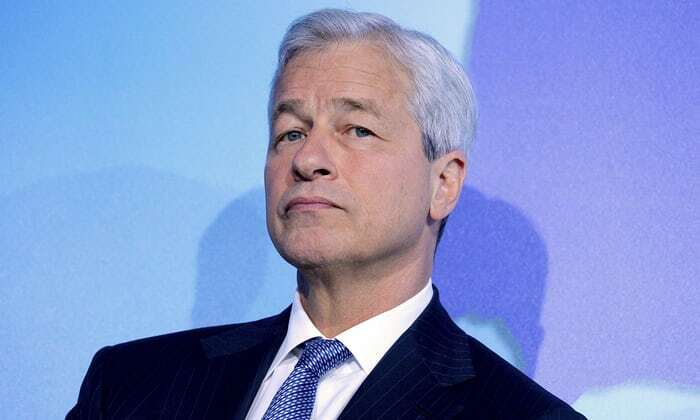 Jamie Dimon, CEO of JPMorgan, enjoys saying things that are demonstrably false so long as they cast his bank and its business prospects in a positive light. There’s the gut buster that Too Big to Fail banks are no longer a problem. Even though they are larger than they were prior to the Great Recession and still employ the same impenetrably murky accounting of derivatives that ultimately destroyed Lehman Brothers. That they are marginally better capitalized is neither here nor there; no amount of capital would have saved Lehman from its gigantic, unregulated derivatives bets. The elephant in the room now, as it always was, is that once panic grips the system and a bank is seen as inherently unstable, all of its counterparties vanish, feeding that panic and leaving the bank to die. Which it won’t be allowed to if it’s been deemed Too Big to Fail. At which point the government steps in to bail it out. Dimon’s most recent hilarity suggests that American consumer debt levels are low. Try and square that with the statistics below.